Dale runs her voice studio from north west Brisbane. Students include professional and pre-professional music theater performers, professional and pre-professional CCM artists, and voice teachers. Dale’s students have been accepted to tertiary performance courses including WAAPA, NIDA, New York Film and Television School, Federation University, Melbourne University, Monash University, VCA, USQ, QUT, UQ, Queensland Conservatorium, Griffith University, and the Australian Institute of Music. Students have performed in touring productions throughout the Asia Pacific, including Jersey Boys, Strictly Ballroom, Rent, and Matilda, on cruise ships, the West End, TV and film, and her professional CCM students have toured throughout Europe, Asia, and Australia / New Zealand. Dale Cox is an experienced performer and specialist teacher of Contemporary Commercial Music (CCM). She has performed onstage for thirty-seven years in genres as diverse as music theater, rock, pop, jazz, R&B, country, and worship music. Dale is currently enrolled in a PhD with The University of Southern Queensland researching how CCM styles are taught to music theatre students. She has a Master of Music Studies (Voice Pedagogy), from Queensland Conservatorium Griffith University (2011) and a Bachelor of Arts (Music, English) from the University of New South Wales (1994). She is Certified in Levels I, II, and III of Somatic Voicework: The LoVetri Method (CCM Institute, Shenandoah Conservatory, 2015). In January 2017, she was associate faculty for the University of Southern Queensland’s Macgregor Summer School course Somatic Voicework: The LoVetri Method. 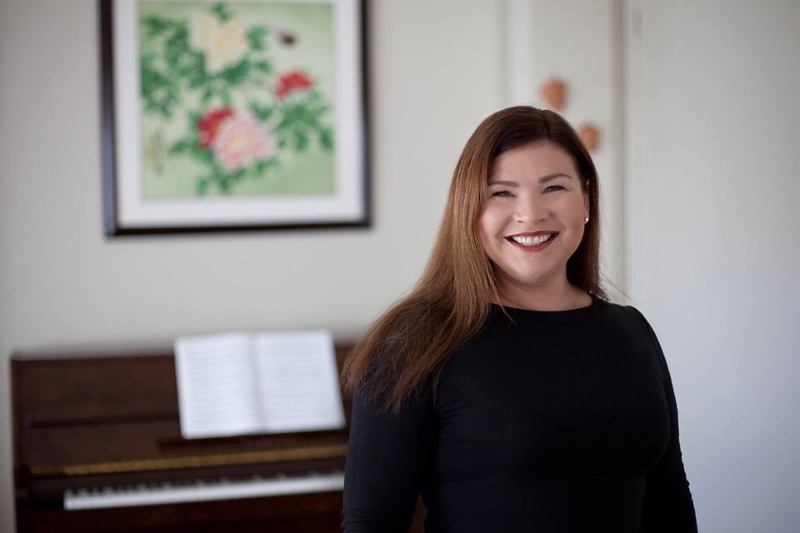 She has completed Rock the Performance Teacher Training with Sheri Sanders, and she attended the 2016 New CCM Institute, at Shenandoah University, and has been invited to be a Visiting Scholar for the 2018/2019 academic year at Shenandoah Conservatory whilst she conducts her PhD research. Dale is in demand as a masterclass teacher, workshop presenter, vocal pedagogy teacher, and competition adjudicator. In January 2018 Dale presented at the Music Theatre Educators’ Alliance conference Beyond Broadway, in Orlando, FL, lectured on studio voice pedagogy, exercise physiology for voice, and conducted masterclasses for Contemporary Commercial Music and Music Theatre students at North Greenville University, Auburn University, and Rockford University in the United States. She is also a regular vocal coach and consultant for musical theatre productions. Recent performance credits include soloist with The Swingalicious Big Band, and her self-devised cabaret Brave. Musical Theatre performances include The Little Mermaid, My Fair Lady, Hairspray, West Side Story, Boys’ Own Macbeth, Snoopy: The Musical, Bye Bye Birdie, South Pacific, and Pirates of Penzance. She has performed as a lead vocalist, backing vocalist, worship leader, choir director, corporate band singer, and concert performer. She runs her voice studio from north west Brisbane. Students include professional and pre-professional music theater performers, professional and pre-professional CCM artists, and voice teachers. Dale’s students have been accepted to tertiary performance courses including WAAPA, NIDA, New York Film and Television School, Federation University, Melbourne University, Monash University, VCA, USQ, QUT, UQ, Queensland Conservatorium, Griffith University, and the Australian Institute of Music. Students have performed in touring productions throughout the Asia Pacific, including Jersey Boys, Strictly Ballroom, Rent, and Matilda, on cruise ships, the West End, TV and film, and her professional CCM students have toured throughout Europe, Asia, and Australia / New Zealand. Member ANATS (QLD committee member), AVA, MTEA, NYSTA, NATS, The Voice Foundation. Styles taught: Musical Theatre, Pop, Rock, Country, Blues, all Contemporary Styles. Somatic Voicework is functional and holistic teaching which helps to rebalance the voice.